Stockwell lies within inner London, to the south and within the borough of Lambeth. 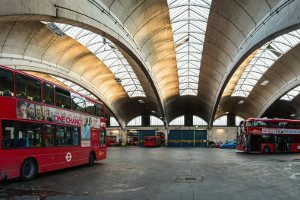 Often known as Little Portugal, Stockwell is a diverse and cosmopolitan area, It provides excellent access to all the main attractions of the capital as well as offering its own places of interest such as London’s only chocolate museum! Stockwell has its own Underground station on the Northern line while there’s direct access for road users via the A3. Lanes Driving School was originally set up in 1914 by Fred Lane, and since 1976 has been run by Keith Paine. With around 100 cars now available for our students, Lanes has become one of the largest UK independent driving schools with a prestigious reputation that precedes us. Lanes are absolutely committed to quality and believe that all of our students deserve to be treated as an individual with a customised lesson plan designed to meet their personal needs. As part of our overall attention to detail, we can provide flexible appointments that fit around your lifestyle. We know that time is precious so we will always make it as convenient as possible, even picking you up and dropping you off at your home address before and after every lesson. While you’re learning to drive you will feel comfortable in our modern cars which come fitted with the very latest technology. During your lesson you will have the undivided attention of your driving instructor; unlike elsewhere, we guarantee that you will never find yourself distracted by other students in the car. To find out about driving lessons in Stockwell, call Lanes today on 020 8166 5678 or email us through our contact page by clicking here. 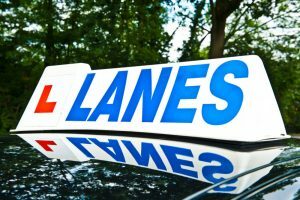 Since Lanes opened a century ago, we have trained many driving instructors and continue to do so, upholding the very high standards that we demand. All of the driving instructors at Lanes have passed the DSA Approved Driving Instructor qualification. This combined with decades of experience and other training means we can guarantee you won’t find better elsewhere. You will always have each lesson with the same instructor; we believe this is an essential for success as it allows your instructor to develop and create a lesson plan that progresses at your pace. If you want a driving instructor in Stockwell, contact us today by clicking here or by giving us a call on 020 8166 5678. 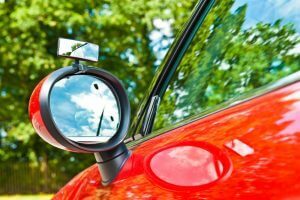 We know that it can be daunting when you decide to learn to drive and the thought of a complete stranger watching your every move can be off-putting. Our friendly driving instructors have lots of experience with nervous and new drivers and will be very patient as you learn at your own pace. However, we understand that some female students will only feel fully relaxed with a female driving instructor. We have a number of highly skilled female driving instructors who can be requested for our female students. Having this facility can make all the difference, allowing our students to feel more comfortable and able to focus on learning. To book a female driving instructor in Stockwell, contact Lanes now on 020 8166 5678 or email us via our contact page by clicking here. When you learn to drive there’s the choice of either a manual or automatic car. Fans of the former suggest that you’ll have far better control with gears but there’s no denying it is much more challenging to learn. For this reason, many of our students choose to learn to drive an automatic car as there is no chance of stalling it or having problems with jerky gear changes. To get more information about automatic driving instructors in Stockwell, give us a ring today on 020 8166 5678 or click here to send us an email.